I have to say that I am glad that Friday is here! The first few weeks of school are such a busy and hectic time for teachers, and when your own children have activities that they are involved in, well, it can get a little crazy! Around our house with two teachers and two teenagers, September is crazy! I'm glad that Friday evening is here, and I have an opportunity to relax, watch a little tv, and link up with Doodle Bugs and share my Five for Friday with you. Let me warn you. 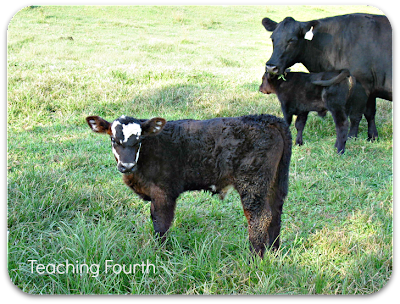 This Five for Friday is very random. 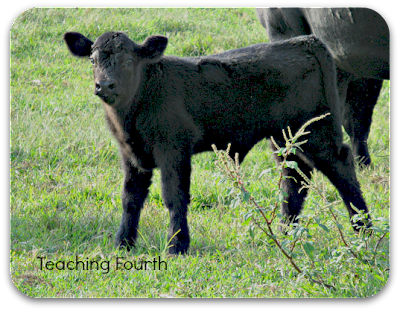 First of all, around our farm we have new calves being born almost everyday. I love watching the momma cows with their calves. It has been an exciting time. 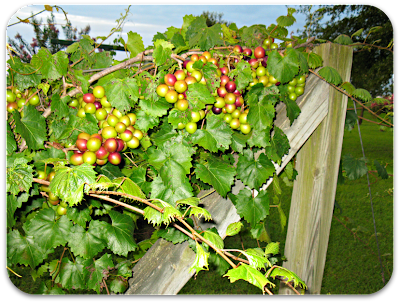 Also, on the farm we have ripe muscadines (which are similar to grapes and native to the South). I love muscadines! You can find me out at the vines every afternoon or evening enjoying these sweet-as-candy snacks! Now, for school related topics. We have been studying genres and focusing on realistic fiction this week. 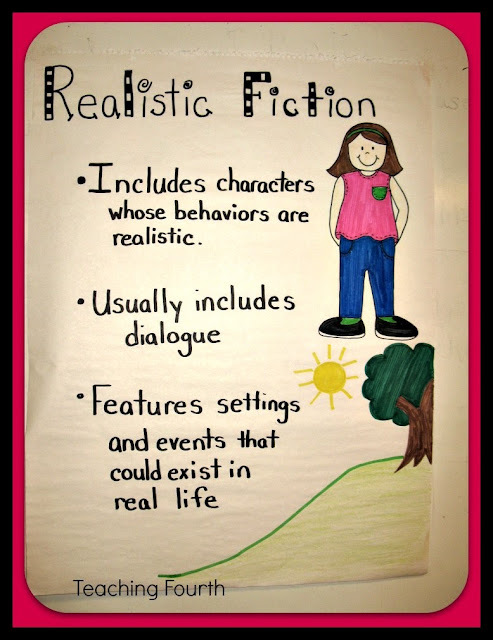 This is an anchor chart that I created to help students remember the characteristics of realistic fiction. 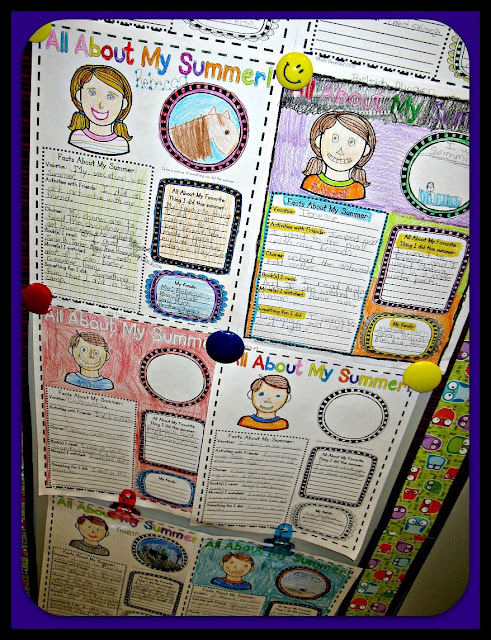 My students also completed an All About My Summer Poster to share about themselves and get to know one another. 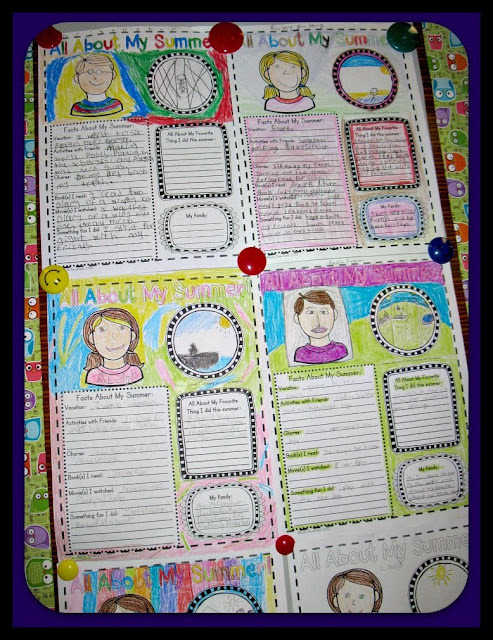 This poster can be found in my All About Me Posters packet on TpT. Get to school by 7:00 a.m. I just realized why I'm so tired! 11 hours at school? You would think I have all of my lessons ready for the rest of the school year, but no. Everything has changed this year: my schedule, my lessons (We have a new reading series. ), and even the subjects. I'm teaching history for the first time in years. So, I am feeling a little overwhelmed these days. Hopefully, this will get better soon. Fortunately, I am blessed with a super-sweet class this year! I know that many of you feel the same way: Exhausted! I hope you have a very restful and enjoyable day today! As a gift to say thank you for all of your support for my blog and TpT store, I have a gift just for you! 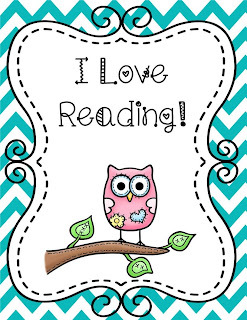 I have a free Owl Themed Reading Motivational Poster that you can download from my TpT store. If you like this poster, more are available in my Owl Themed Reading Motivational Posters Set. 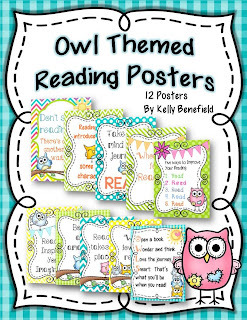 You'll find 12 cute and colorful owl themed posters that will inspire your students to read, read, read!